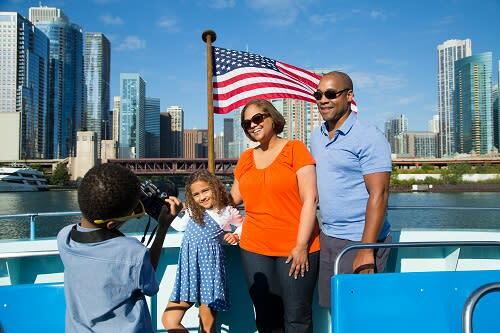 Take the entire family (pets included) on a fun Chicago sightseeing cruise. 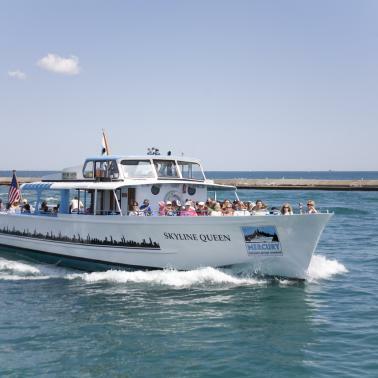 For a signature sightseeing tour along the main branch of the Chicago River and the shoreline of Lake Michigan, book the 90-minute Urban Adventure Cruise. You&apos;ll glide through the Chicago River Lock onto Lake Michigan and past iconic buildings for picture-perfect views of Chicago&apos;s dramatic skyline. If you&apos;re looking for a kid-friendly nighttime activity, don&apos;t miss the 90-minute CHICAGO BY NIGHT! 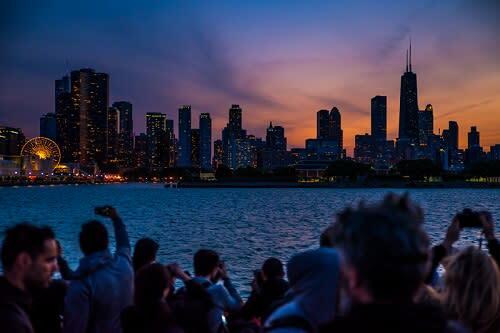 Cruise, featuring a river and lakefront voyage, where you&apos;ll see glittering views of the Chicago skyline, as well as the spectacular light display at Buckingham Fountain. Bonus: Everyone on this cruise gets a complimentary neon light wand, which adds an extra element of fun for kiddos. Cruises aren&apos;t just for people-bring your furry family members on the 90-minute river and lake Canine Cruise, a dog-friendly adventure with special amenities such as water bowls and newspaper-lined restrooms. 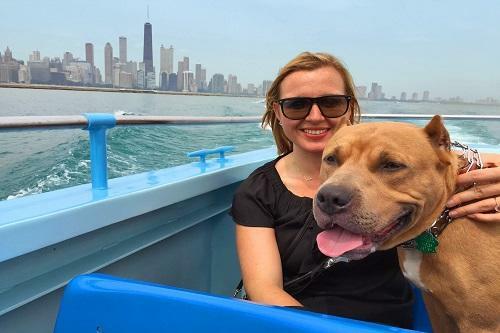 Have a seat in the spacious outdoor area, and enjoy a narrated tour highlighting Chicago&apos;s famous architecture and dog-friendly sights. You&apos;ll even get a Chicago Dog-Friendly Map to enjoy on the rest of your trip. 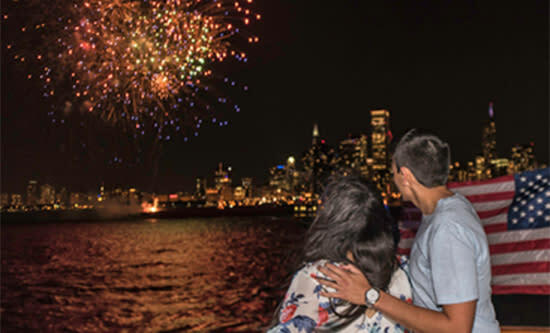 Twice a week all summer long, Chicago&apos;s night sky fills with dazzling fireworks from Navy Pier, so make the most of this quintessential summer experience on the two-hour 3D Fireworks Cruise, where you&apos;ll get the best views while cruising on Lake Michigan. Put on your complimentary 3D glasses and get ready for the show. Mercury Cruises departs from Chicago&apos;s Riverwalk at Michigan Avenue and Wacker Drive (112 E. Wacker Drive.) Cruises run from late April to mid October, and departure times vary according to season.